19:36 | Sydney (Australia), Feb. 13. 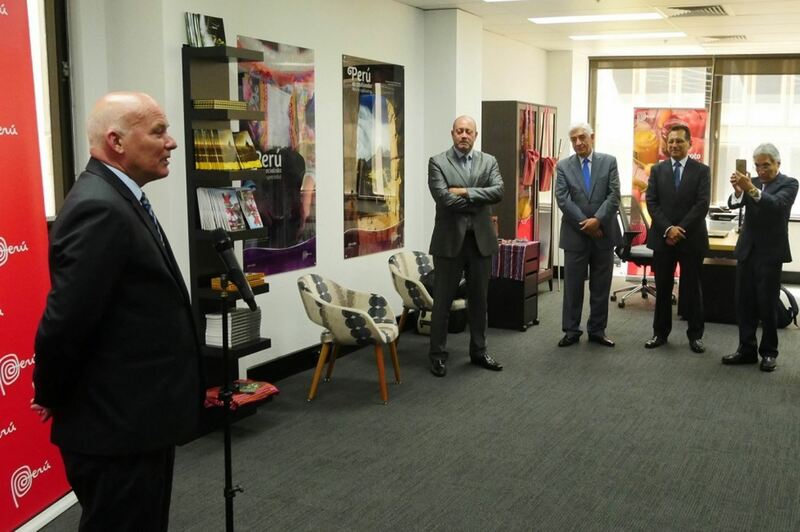 Peru opened a new Trade Office in Sidney (Australia) as part of its efforts to promote its exports, tourism, investments, and image in the Oceania nation. "The trade office was opened today. It is a great step towards Peru's promotion and an important opportunity after signing the Free Trade Agreement (FTA) with Australia," Peru's Foreign Trade and Tourism Minister Eduardo Ferreyros said Tuesday. He believes much work remains to be done and that Peruvian exporters' support will be essential in this regard. "There are several Peruvian products with export potential to Australia, including superfoods like avocados, fresh grapes, blueberries, and quinoa, as well as alpaca fiber garments, cotton jerseys and t-shirts, shirts, among others," the minister expressed. Trade Advisor Mario Carlos Vargas Diaz will be in charge of Peru's Trade Office in Sidney (OCEX Sydney). The event was held at the Australian Parliament House situated in Canberra. The document was signed by Minister Ferreyros (Peru) as well as Australia's Trade, Tourism and Investment Minister Steven Ciobo.